Trains on the Stockton & Darlington Railway were at first hauled by horses. Normally the horse pulled its train, but this proved to be problematic when going down hill if the train began to overrun the horse. The solution was to have an open-backed wagon at the rear of the train, which the horse could step safely into at the top of the incline and ride to the bottom. This wagon was known as a dandy cart. 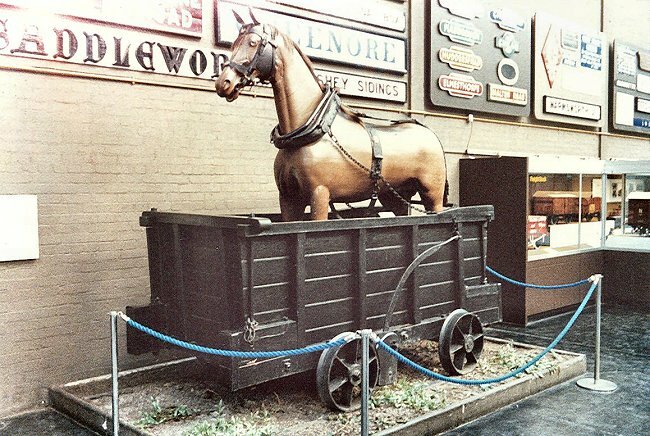 Stockton & Darlington Railway horse dandy wagon. National Railway Museum 1986. 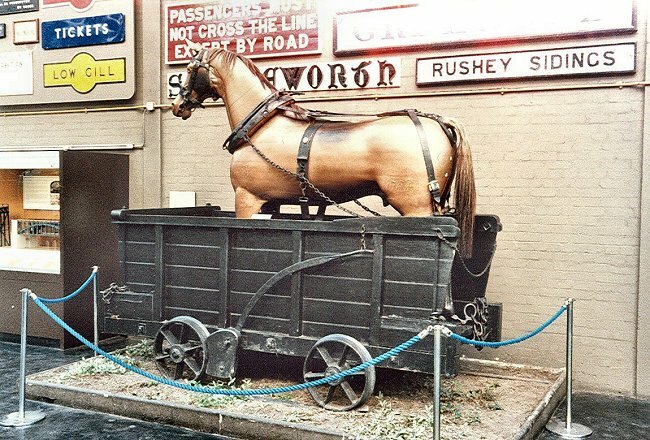 Rear end of the Stockton & Darlington Railway horse dandy wagon. National Railway Museum 1986.